The pro-active SAN was present in Uyo last night, the 9th of March, despite attending to a court case in Lokoja earlier on in the day. 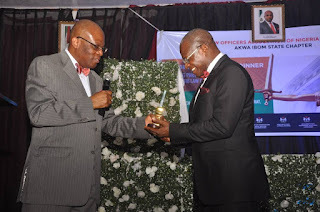 He was in Uyo for the LOAN AKS dinner (Law Officers Association of Nigeria, Akwa Ibom State division) where he delivered a speech to Lawyers present. The event held at the Civil Service Auditorium, Idongesit Nkanga Secretariat, Uyo. 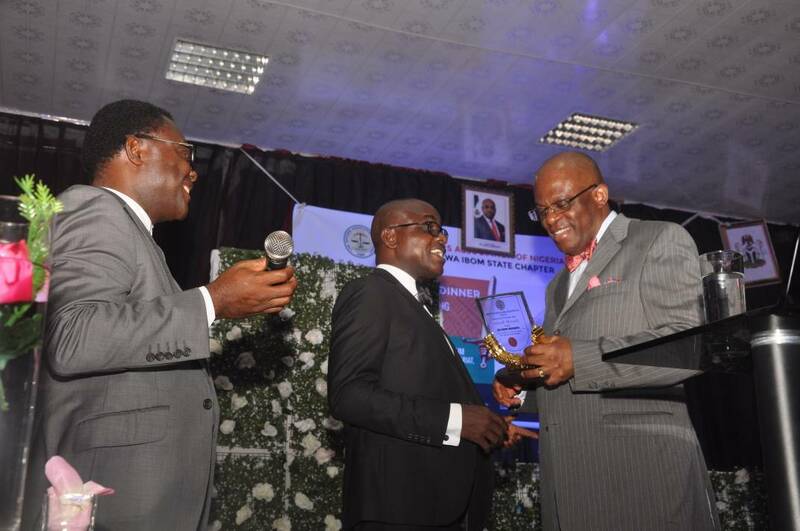 Paul Usoro also presented an award of excellence on behalf of LOAN to the Hon. 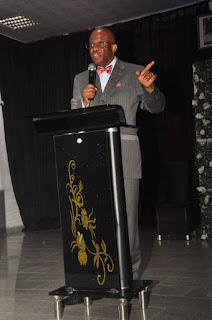 Attorney General/ Commissioner for Justice of Akwa Ibom State, Mr. Uwemedimo Nwoko. 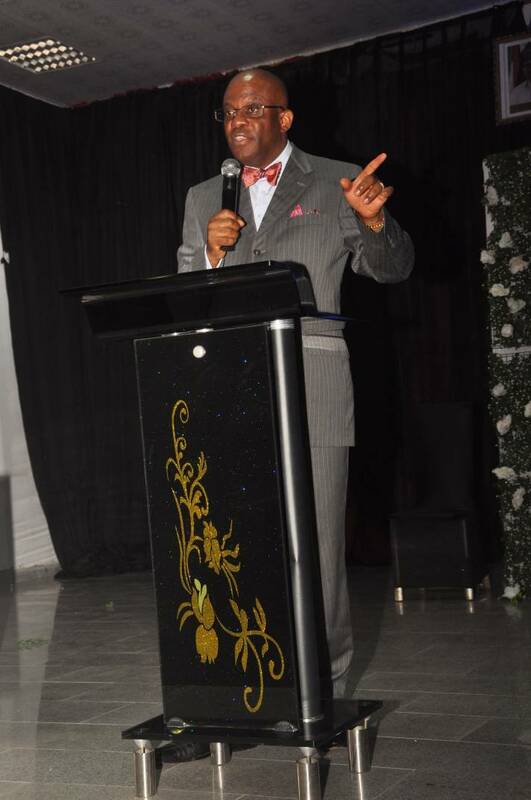 Whilst delivering his speech, he shared a few ideas for the future of the NBA amongst which he stated that the "NBA has to be run by someone who understands corporate administration or governance"